Do you already have a website, but need hosting? 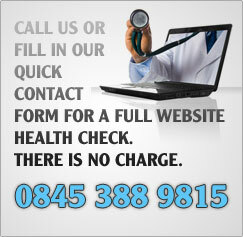 Looking for a website from us, with hosting included in your package? We offer a selection of different solutions to suit your hosting needs, whether you just need a simple, small area to host a small personal site or web ad, or if you need a few gigs to host your new eCommerce or bespoke application development site. Perhaps another company already takes care of your domain/hosting, but their service has been poor or you think they're charging a bit too much for their services. We can take that over for you and provide you with a professional service, most likely at a much more reasonable rate too. We work closely with another hosting company who offers us great deals that we can pass along to you, the Only customer! This also ensure that you get additional site services included should you need them, for example MYSQL databases and PHP/ASP support. Looking to reserve the perfect URL right now? Let us know and we can register your preferred available domain name right away. Domains are available with all different sorts of extensions, for example .co.uk, .info, .com. We will research your requested domain name and let you know if the one you want is available. If it isn't, we can look into similar domain names for you and find something suitable that is as close as we can get it! Domains and hosting, we do them both. Fill in a no obligation quote request and let us know what your needs are. We'll get back to you with a quote as soon as possible.